In order to help protect the Classical and Early Bronze Age sites of Helike from destruction by a new railroad that would run over them, the World Monuments Fund has included Helike in its List of 100 Most Endangered Sites for 2004, 2005 and 2006. 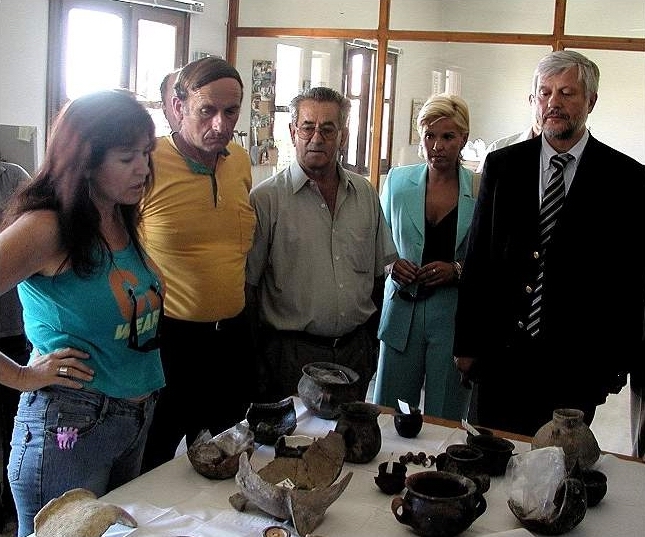 Petros Tatoulis, Deputy Minister of Culture, visited ancient Helike on August 18 2004, together with local government leaders. Project Director Prof. Dora Katsonopoulou first took the group to see the Helike Research Center and Conservation Laboratory, where she and staff members presented a collection of finds from the recent excavation campaign and demonstrated conservation procedures for pottery and metal objects. The group then visited the Hellenistic and Early Bronze Age excavation sites. The Minister, in his statements to news media following his visit, expressed his satisfaction with the impressive work at Helike and assured the scientists and the local administration of the continued interest of the Greek Ministry of Culture in the excavations and the future development of the sites of Helike. Fig. 1 Mr. Petros Tatoulis, Deputy Minister of Culture (right) visited the Helike Conversation Laboratory on August 18, 2004. Prof. Dora Katsonopoulou (left), Helike Project Director, described the convervation and restoration of Early Bronze Age pottery. 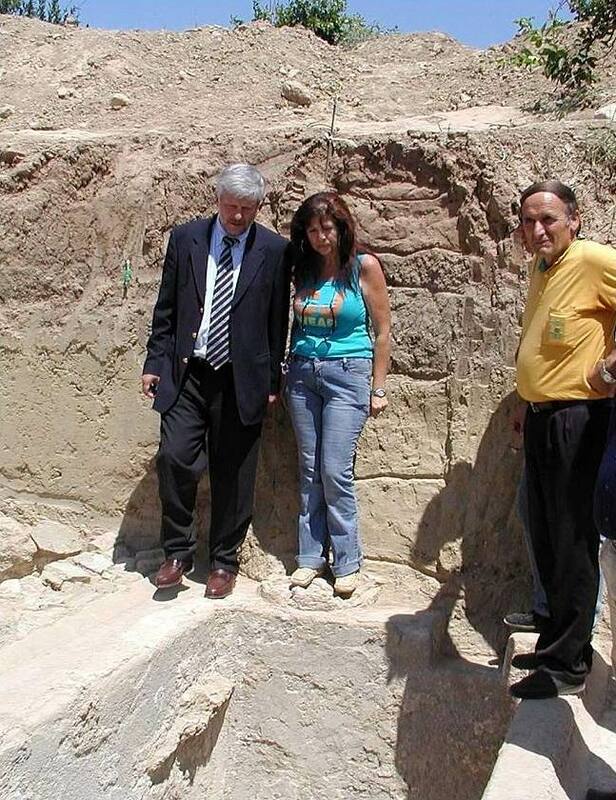 Fig.2 Mr. Tatoulis and Prof. Katsonopoulou examine a deep basin at the Hellenistic excavation site. At right is Mr. Ioannis Asimakopoulos, President of the community of Eliki. 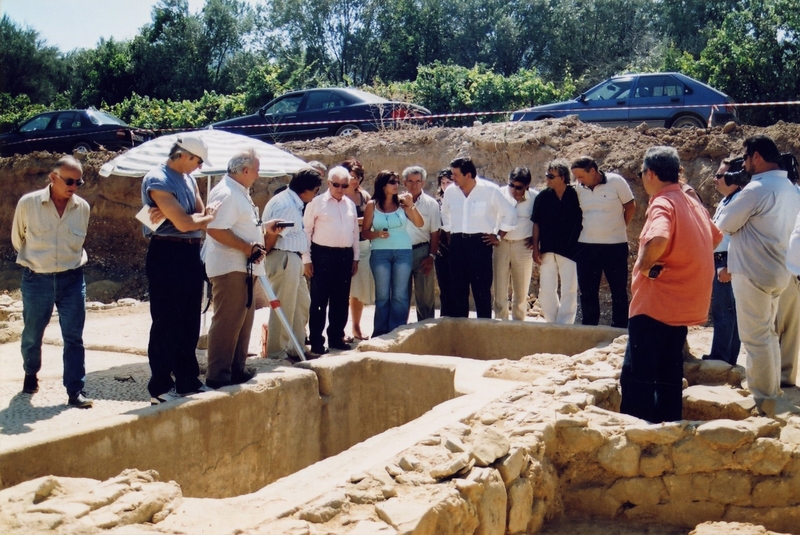 Panagiotis Kavvadas, Secretary General of the Prefecture of West Greece, visited the excavations on August 31 2005, accompanied by local administration leaders. Prof. Dora Katsonopoulou welcomed the visitors to the Helike Research Center and Conservation Laboratory, where she and staff members presented a collection of finds from the excavations. The Secretary General then visited the Hellenistic and Early Bronze Age excavation sites. In a subsequent press conference at the nearby hotel Poseidon, the Mr. Kavvadas expressed enthusiasm for the discoveries and announced that the Prefecture will support financially the foundation of a local archaeological collection to exhibit the impressive finds from ancient Helike. 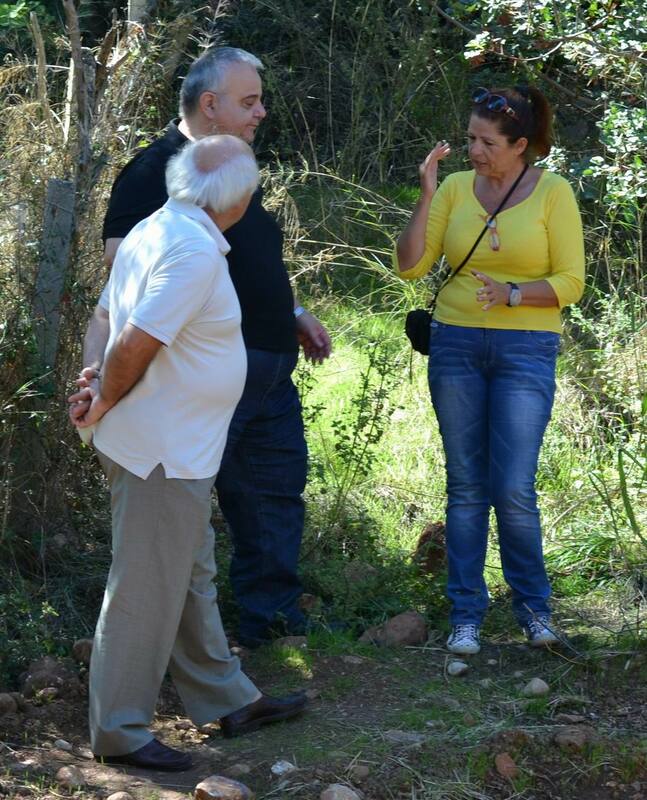 Fig 3 The Secretary General of West Prefecture of Greece Mr. Panagiotis Kavvadas is guided by Prof. Dora Katsonopoulou, Helike Project Director, at the industrial Hellenistic site in Valimitika. 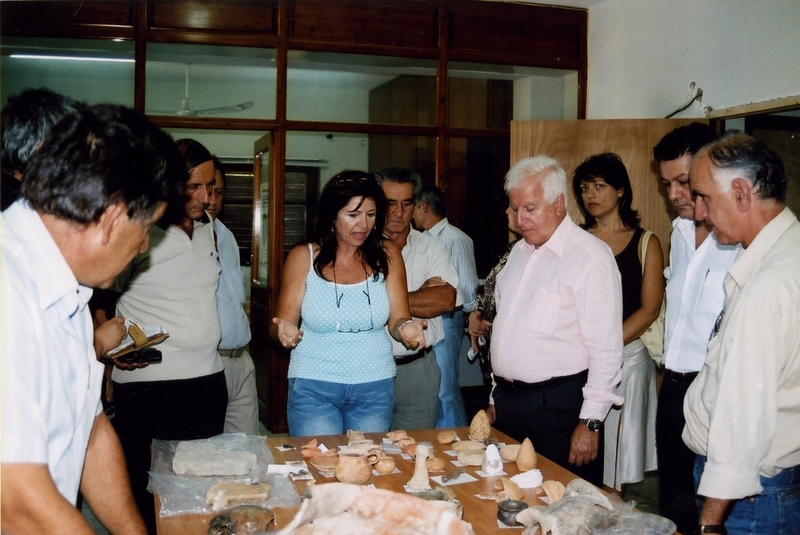 Fig 4 The Secretary General of West Prefecture of Greece Mr. Panagiotis Kavvadas observing Hellenistic Pottery at the Helike Conservation Laboratory. 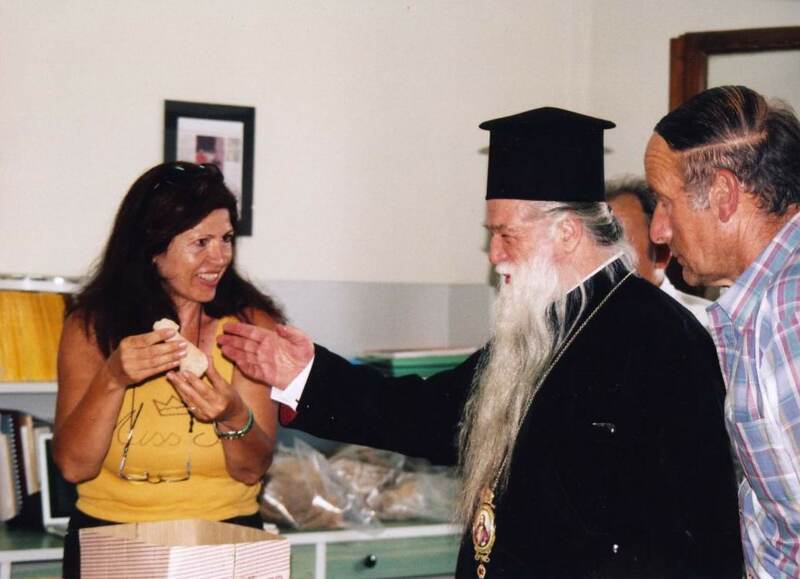 His Grace the Metropolitan of Kalavryta and Aigialeia Amvrosios visited the Helike excavations on July 27, 2006. Project Director, Prof. Dora Katsonopoulou, and staff members welcomed the Metropolitan Amvrosios at the hotel POSEIDON in Nikolaiika and guided His Grace to the excavation sites, first in Nikolaiika and then in Eliki. In Nikolaiika, the Mayor of Diakopton Mr. George Makris and local officials waited to welcome the Metropolitan Amvrosios. The visitors were shown the impressive finds at the site including a long enclosure stone wall uncovered during the 2006 season at a length of 70 meters. The tour continued in the Eliki site, where a major industrial Early Hellenistic Dye-Works site was unearthed by the Helike Project excavators. Finally, His Grace the Metropolitan Amvrosios visited the Helike Research Center and Conservation Laboratory, where Prof. Katsonopoulou and staff members presented a collection of archaeological finds from the excavations and demonstrated conservation procedures of various excavation finds. Fig. 5 The Metropolitan His Grace Amvrosios with Prof. Dora Katsonopoulou, Helike Project Director, at the Helike Conservation Laboratory. Fig. 6 The Metropolitan His Grace Amvrosios with the excavation team. Prof. Dora Katsonopoulou , Helike Project Director on the right , Mr. Ioannis Asimakopoulos, President of Eliki, on the left. 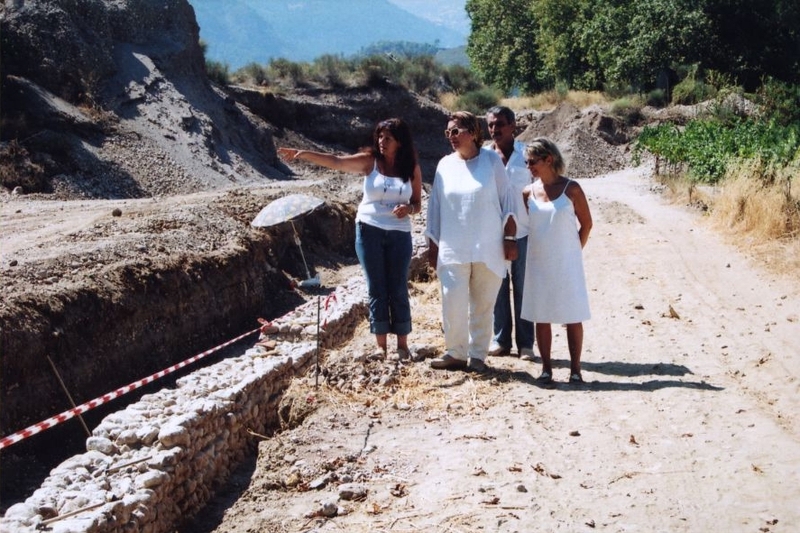 On 3 August, 2006, the Director General of Antiquities and Cultural Heritage Dr Vivi Vassilopoulou and the Director of the Department of Prehistoric & Classical Antiquities Dr Elena Korka of the Greek Ministry of Culture, visited the excavation sites at Helike. The two Ministry officials were welcomed at the Helike site by the Helike Project Director, Prof. Dora Katsonopoulou, and the Mayor of Diakopton Mr. George Makris. They were guided at the excavation sites in Eliki, where a major industrial Early Hellenistic Dye-Works site has been partly excavated by the Helike Project excavators, in Nikolaiika where the impressive remains of a long enclosure stone wall were uncovered at a length of 70 meters during the 2006 season, and at the geophysical survey sites in the Helike plain. The visit concluded at the Helike Research Center and Conservation Laboratory, where Prof. Katsonopoulou and staff members presented a collection of archaeological finds from the excavations and demonstrated conservation procedures of pottery, coins, and other excavation finds. During their visit, the Ministry officials had the opportunity,in a separate meeting with the Project Director and the Mayor of the area, to discuss the progress of the Helike Project work and the procedures toward developing the discovered archaeological sites in the Helike region. Fig. 7 The Director of the Department of Prehistoric & Classical Antiquities Dr Elena Korka, examining Early Helladic Pottery at the Helike Conservation Laboratory. To the right the Director General of Antiquities and Cultural Heritage Dr Vivi Vassilopoulou. In the center, Prof. Dora Katsonopoulou. Fig. 8 Dr Vivi Vassilopoulou and Dr Elena Korka at the site of the long wall excavated in 2006 in Nikolaiika. To the left, Prof. Dora Katsonopoulou. Behind Mr. George Makris, Mayor of the Municipality of Diakopton. The Secretary General of the Prefecture of West Greece Mr. Spyros Spyridon paid a visit to the Helike excavations on Friday August 7, 2009. The Secretary was accompanied by the Mayor of the area Mr. Panagiotis Vassileiou and was guided to the excavation sites by the Director of the Helike Project Prof. Dora Katsonopoulou. Mr. Spyridon attended the excavation work and spoke with the Helike team archaeologists and the volunteering group of students from the Universities of Oslo, Oxford , New York , Montreal and Sydney . Answering to journalists’s questions, the Secretary General emphasized Helike’s importance as the capital city of all Twelve Cities of ancient Achaea and its leading role in the region. He also referred to the significant results of the excavations in Helike which have produced rich archaeological finds covering a wide chronological range from the Early Bronze Age to Late Antiquity. Mr. Spyridon added that his office will support the development of the ancient industrial site discovered by the excavators in the western Helike region in the area of the contemporary village of Valimitika . Fig. 9 The Secretary General of West Prefecture of Greece Mr. Spyros Spyridon at the Helike Site. To the right, Prof. Dora Katsonopoulou, the Helike Project Director, describes ancient lamp discovered at the excavations. The Rector of the University of Patras, Prof. G. Panagiotakis, visited the Helike excavations on Saturday 22 September, 2012. The Rector was accompanied by the Director of the Department of Geology, Prof. N. Kontopoulos, and was guided to the excavation sites by the Director of the Helike Project Prof. Dora Katsonopoulou and the Co-director for Geology Prof. I. Koukouvelas. The Rector also visited the Helike Project Research and Conservation Laboratory, housed in the modern village of Eliki near the excavation site, and was guided by Prof. Katsonopoulou in the Library and the Conservation lab. He was also updated on the progress of the studies by the Project associates specializing in coinage, pottery, specific finds such as clay lamps, loom objects, tools, metal objects, jewelry, skeletal remains, environmental studies, petrographic studies. Fig. 10 The Rector Prof. G. Panagiotakis guided at the Geometric site of Helike by the Project Director Dora Katsonopoulou.